Michael works as our National Programs Leader, managing our Nature in Cities program which is working with communities, businesses and government to create greener, more liveable cities across Australia. Michael has been working and volunteering in the environmental field for over fifteen years, both in the not-for-profit and government sectors. He has extensive, onground experience in environmental restoration, community education, conservation planning, project management and corporate engagement. 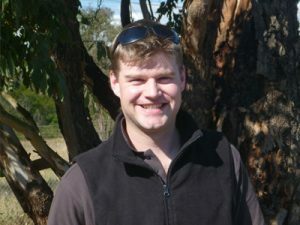 Michael also holds qualifications in Landscape Management and Conservation and has worked for Greening Australia for eight years in a variety of roles including Partnerships Manager, Facilitator of the Great Eastern Ranges Initiative’s Southern Highlands partnership, and Business Unit Leader in our conservation planning, science and strategy unit. 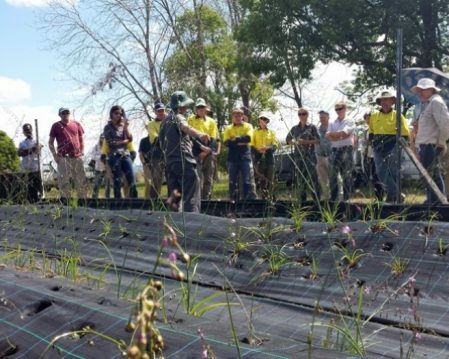 Over the past two years he has been involved in managing almost $3 million of 20 million trees grants in Sydney and establishing the framework for a Western Sydney Environmental Masterplan. He is currently working with colleagues to standardise monitoring tools and criteria so that they can be applied across all Nature in Cities projects across Australia. Prior to joining our science team, he played an integral in the maintenance of the Greening Australia’s operations systems and has worked closely with our corporate and government partners to achieve social and environmental outcomes through CSR programs, applying his facilitation skills to deliver collaborative, multidisciplinary, partnership based landscape restoration projects. Nature in Cities is a new concept of bringing the traditional ways of protecting, conserving and restoring nature together with the challenges of urban living, working and travel. How do we connect more people with nature, ensure we’ve got clean air and water and make our urban spaces even better places for our native wildlife and people? That’s the exciting challenge Greening Australia has set itself for the future and I’m thrilled to be a part of it.